No matter how many years we’ve been traveleating, no matter how many cities we’ve explored, I think Osaka will always be near and dear to our hearts. It stands out because it’s the trip that inspired us to take this blog seriously and remains one of our favorite cities to visit for food. That trip to Osaka in 2014 was our first visit to Japan in decades. I remember being blown away by everything we ate. From the sushi to the udon to the takoyaki to the ice cream, everything was sensational and the best experience we ever had with each dish. The thing is, we weren’t as into this blog yet so as good as those restaurants were, I knew they weren’t the best. Many were random finds and chosen more out of convenience than anything else. Hard as it is to imagine, but those experiences would have been even better with more thorough research, which is why that trip to Osaka has always felt like unfinished business to me. Well, we finally got to finish what we started four years ago. We recently returned to Osaka to do this list right. 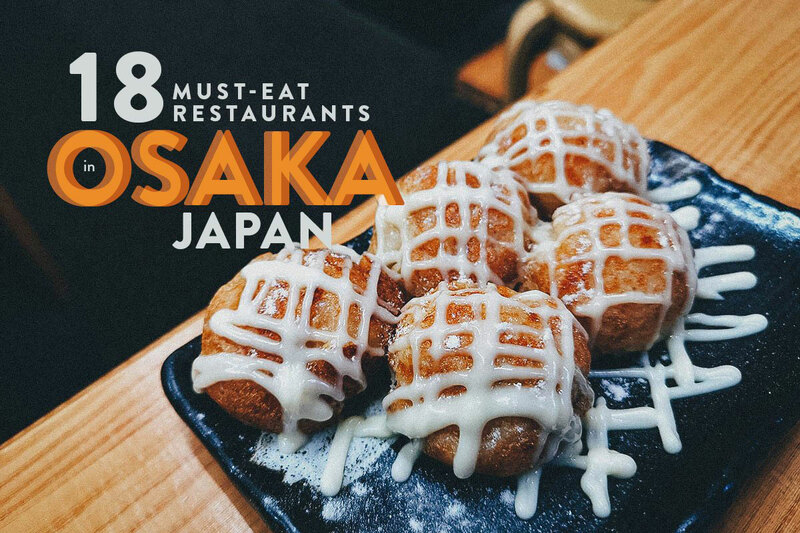 After hours of research and the help of my Japanese and Kansai native friend*, we found some of the best places to try key Japanese dishes like sushi, ramen, tempura, takoyaki, and okonomiyaki to come up with this list of 18 must-eat restaurants in Osaka. 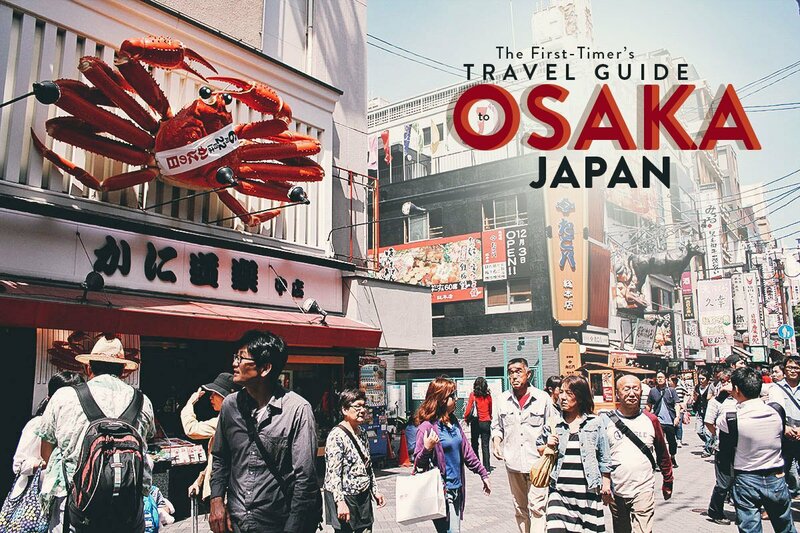 If you fly for food like we do and are wondering where to eat in Osaka, then this list is definitely for you. 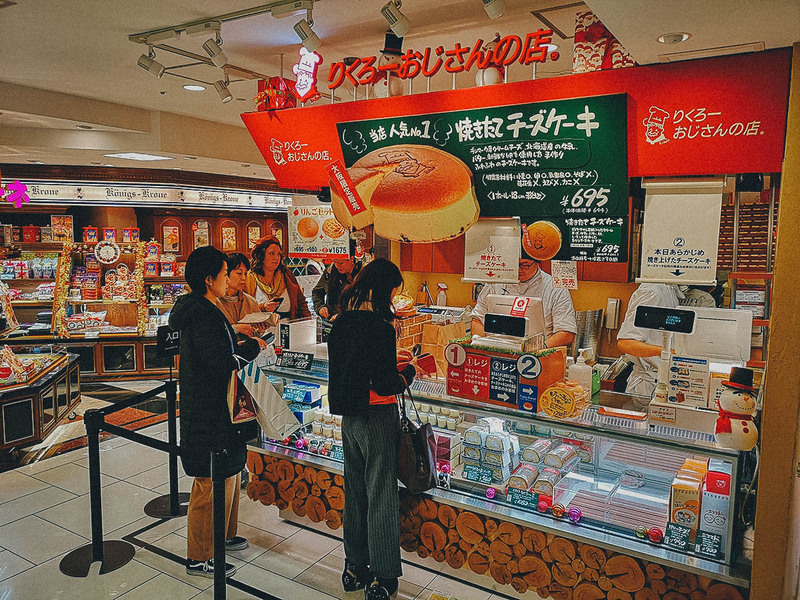 *Speaking of Kansai natives, as mentioned in our Osaka travel guide, there’s no better way to experience Osaka’s food than with a local. 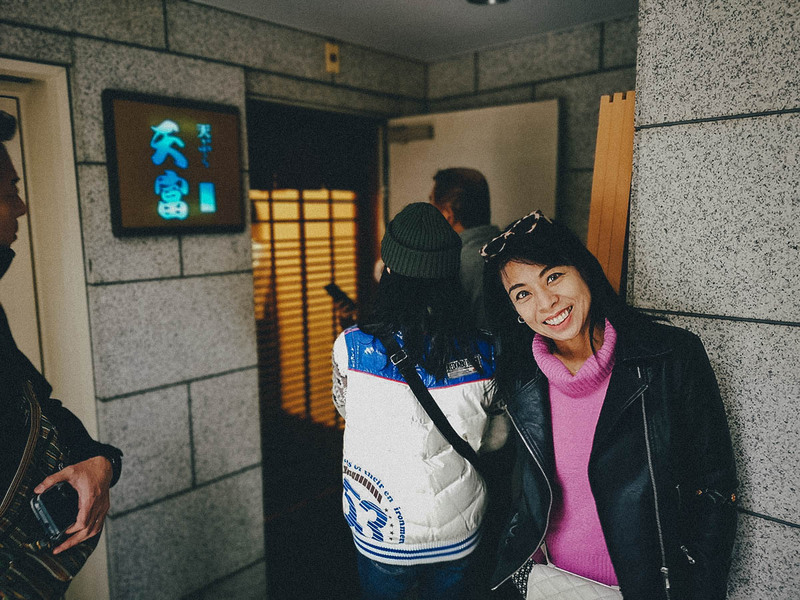 We had the benefit of our Japanese friend Tsutomu taking us to some great restaurants, but if you don’t personally know anyone in Osaka, then you may be interested in going on a guided food tour with a local. 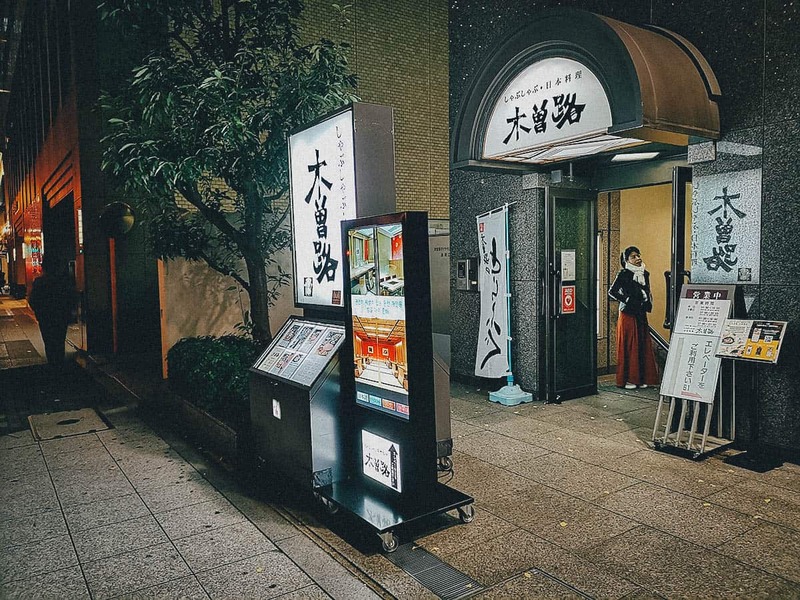 Magical Trip offers a few food tours in Osaka, including this Kuromon Ichiba walking tour and this Namba bar hopping tour. Enjoy! 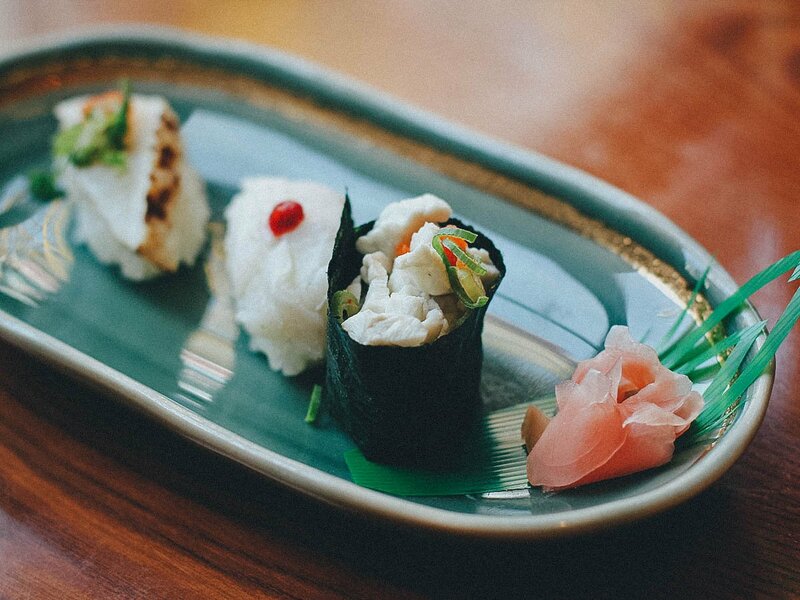 What better way to start this list than with a sushi restaurant? 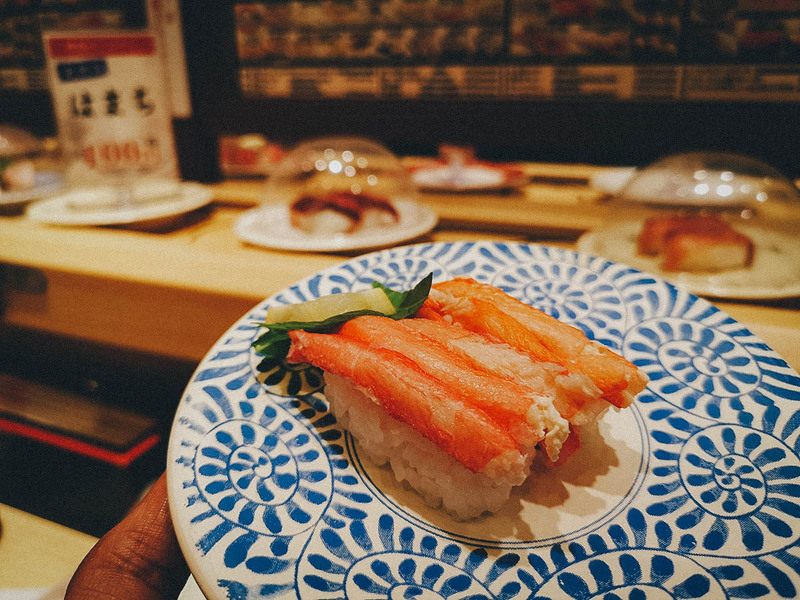 And not just any regular sushi restaurant, but a kaiten-zushi restaurant, one of our favorite dining experiences in the world and something we need to have on every return trip to Japan. Kaiten-zushi refers to a restaurant that offers sushi on a rotating conveyor belt or moat. 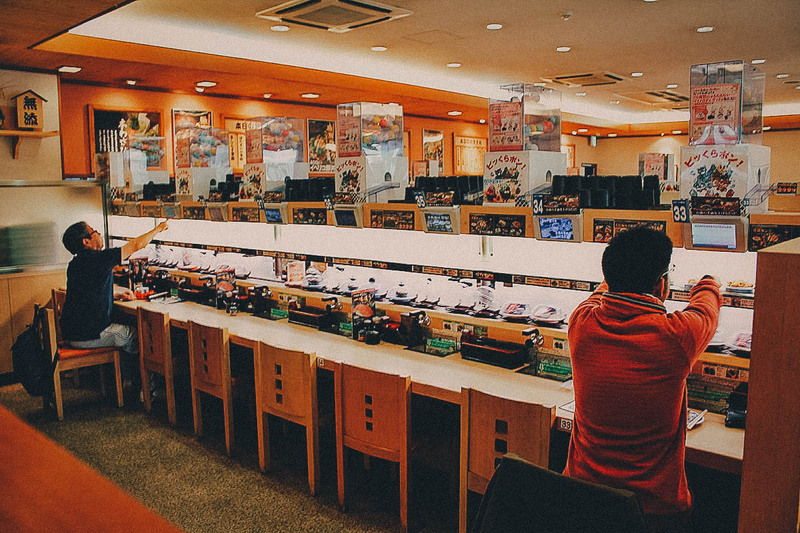 Customers are free to grab any plate of sushi from the conveyor belt, as they make their way through the restaurant and move past every table and seat. Plates are color-coded so you know exactly how much you’ll be paying per plate. Sushi at Daiki Suisan ranges from JPY 100-500 per plate. More premium types of sushi like toro (fatty tuna) or unagi (freshwater eel) don’t come along as often, so you’ll need to order them via the touchscreen pad at your table or counter seat. This is what most Japanese customers do. Ren and I enjoy grabbing them off the conveyor belt for the novelty, but if you want the freshest plates, then it’s best to get them made-to-order. Daiki Suisan is a kaiten-zushi chain with many branches throughout Japan. Our Japanese friend Tsutomu suggested we try it so we can compare it to our beloved Kura Sushi. He described it as a slightly more upscale version of Kura. As good as Daiki Suisan was, I think we still prefer Kura Sushi, and it has little to do with taste. Not only can you enjoy the novelty of grabbing anything you want off that conveyor belt, but every plate of sushi at Kura goes for just JPY 100, or about one US dollar. Who says dining in Japan had to be expensive! Because it’s so cheap, the quality probably isn’t as high as Daiki Suisan, but who cares? You can’t say no to JPY 100 a plate sushi, especially in a country as pricey as Japan. Even our Japanese friend loves Kura Sushi and eats here often. 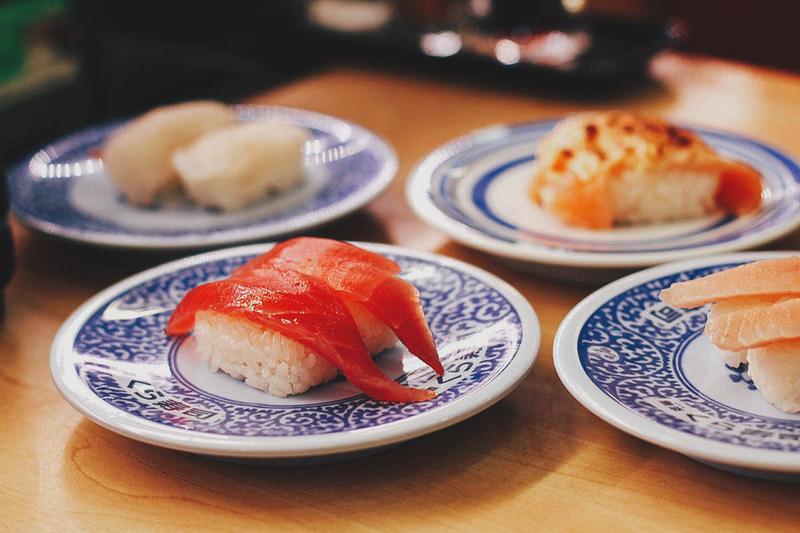 Kura Sushi is a popular kaiten-zushi chain with hundreds of branches throughout the country. I believe they have at least one branch in every prefecture in Japan, except Hokkaido. 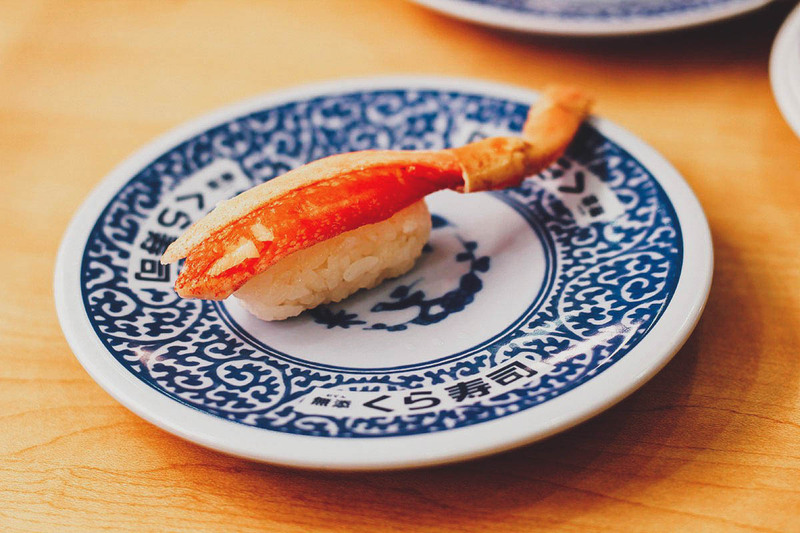 Most plates have two pieces of sushi but more premium varieties like this kani (crab) only come with one. 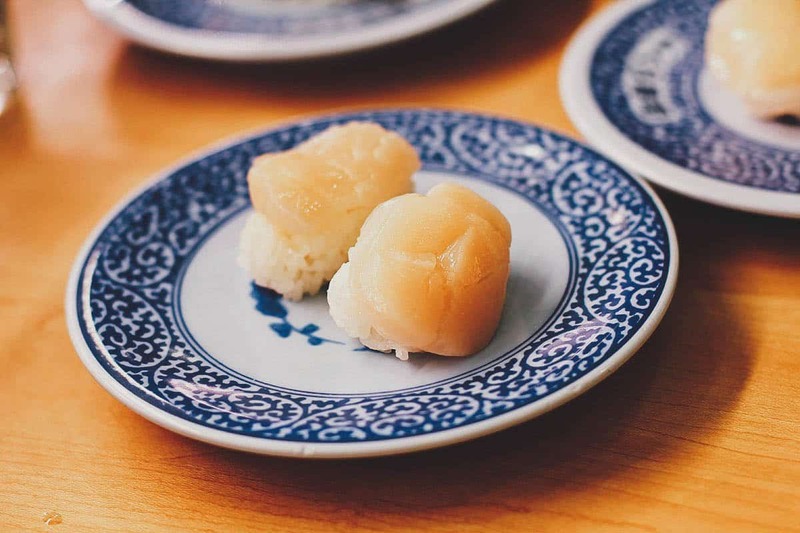 The most succulent pair of hotate (scallop) sushi. These were so delicious I could have eaten ten plates of this on my own! 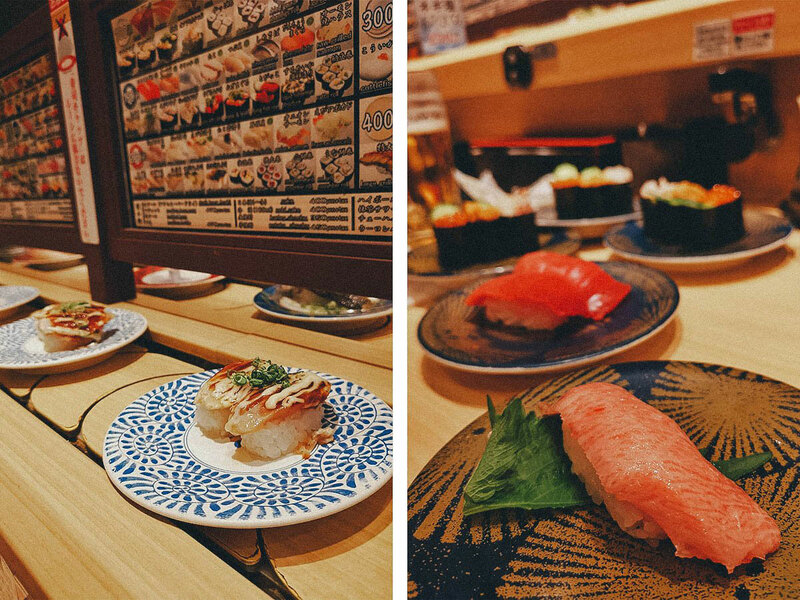 Kaiten-zushi restaurants are a lot of fun, but if you don’t care much for the novelty and want to have sushi in a more traditional restaurant, then Jinen Shimizucho is a good choice. 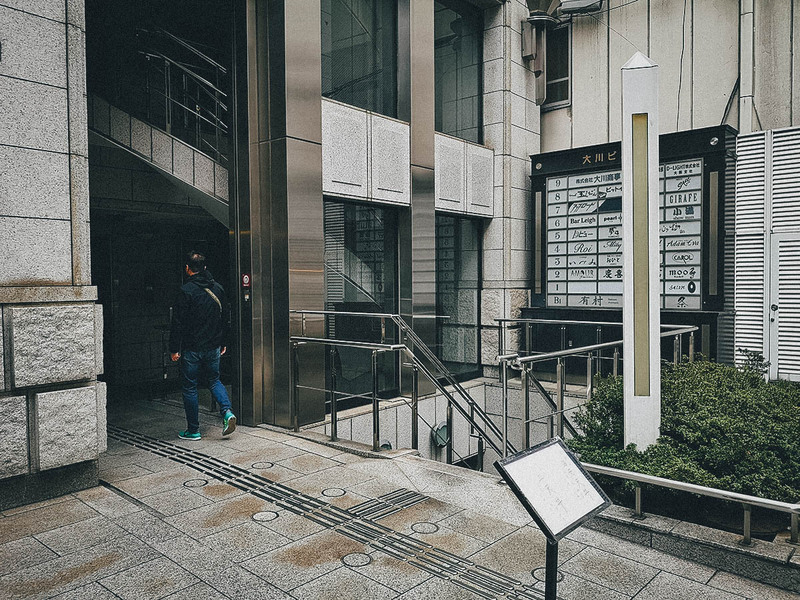 Just a short walk from Shinsaibashi station, our friend Tsutomu took us here on our first trip to Osaka and we’ve never forgotten it. Their sushi is top notch and it’s the first time we ever got to try aburi or flame-torched sushi. Unagi (freshwater eel) in front and anago (saltwater Conger eel) in the rear. Unagi was the very first piece of sushi I ever tried in my life. 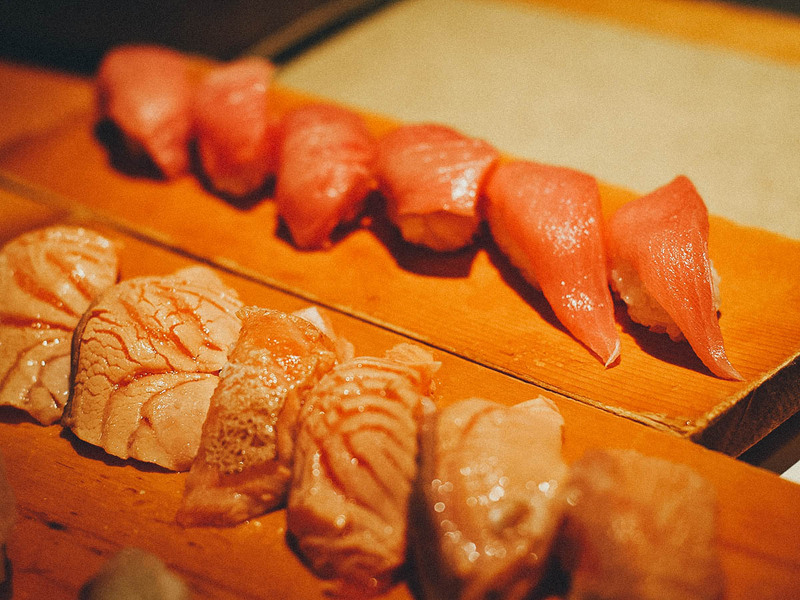 It’s what turned me on to sushi and remains one of my absolute favorites to this day. Tsutomu does all the ordering when we go to sushi restaurants and this was the first time either Ren or I got to try anago. 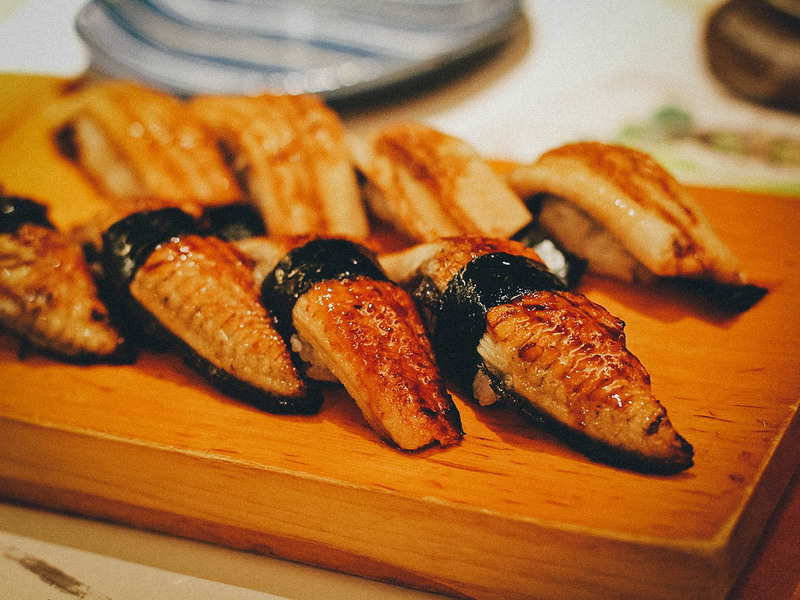 It isn’t as common outside of Japan so if you like unagi, then you should definitely try it here. The Japanese seem to prefer it over unagi. It’s similar but less sweet and mushier in texture. Chuo toro (medium fatty tuna) in the rear and aburi shake (blow-torched salmon) in front. They sprinkle the aburi with a pinch of salt so no soy sauce is necessary. Partially cooked, it’a got a wonderful texture that’s unlike your typical raw sushi. 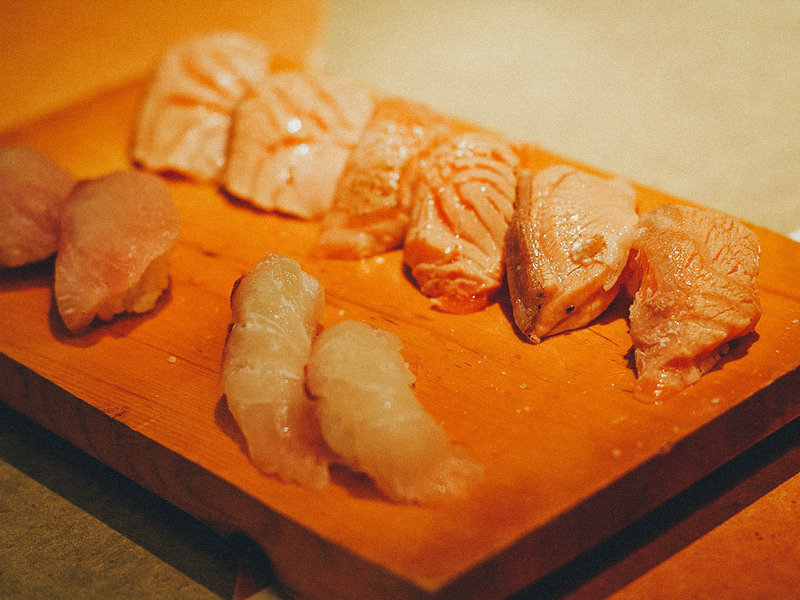 Both the chuo toro and aburi are premium pieces of sushi that practically melt away in your mouth. So so good. How to Get There: The closest metro stop is Shinsaibashi station. You can refer to the LOCATION MAP below to see exactly where the restaurant is. 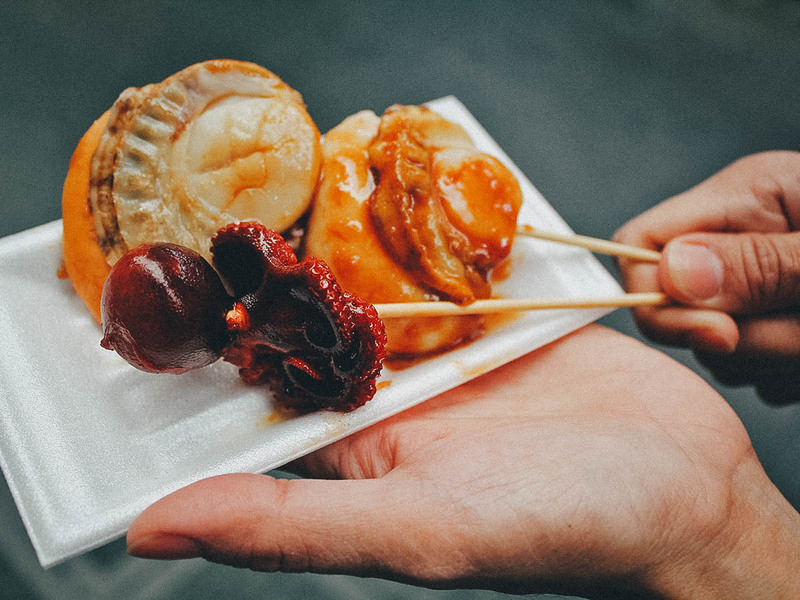 Aside from Japanese staples like sushi and ramen, there are two dishes that Osaka is particularly known for – takoyaki and okonomiyaki. Both are core Osaka dishes and can be found throughout the city. With takoyaki being such an important Osaka dish, I wanted to find the best so my research led us to this place – Takoyaki Tamaya. The Japanese blogger who recommended it described it as the best takoyaki she had tasted thus far in Osaka. Their secret? 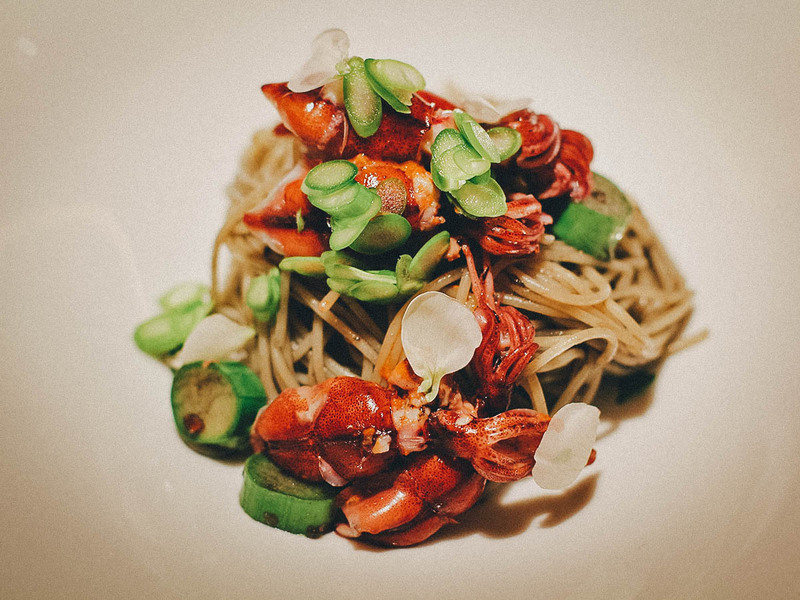 Lobster in the soup broth. 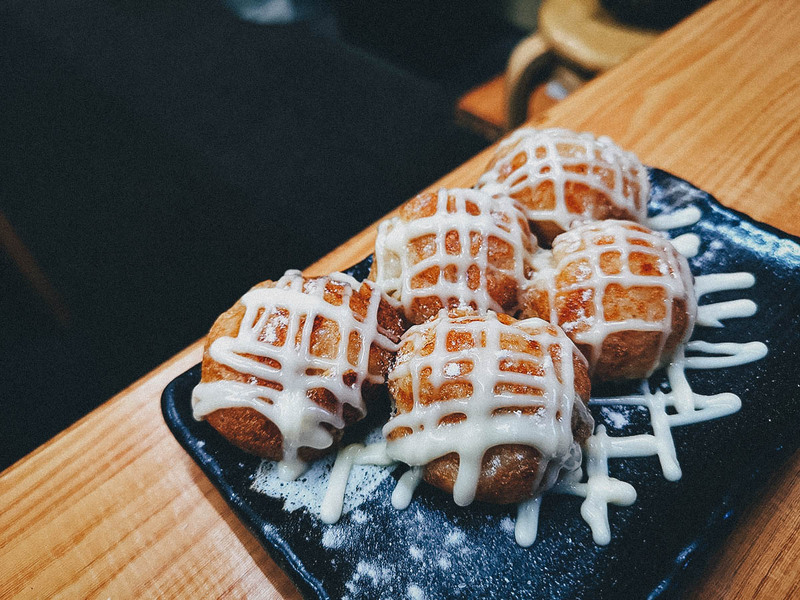 Takoyaki is a ball-shaped snack made with wheat flour batter cooked in a special molded pan. It’s typically filled with octopus (tako), tempura scraps, pickled ginger, and green onion. 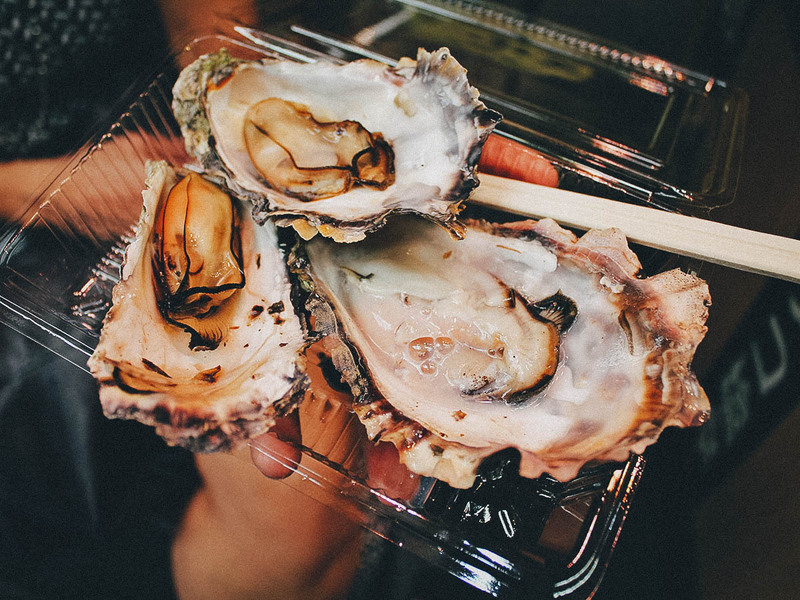 They can be served plain or brushed with takoyaki sauce and mayonnaise, then sprinkled with green laver and bonito shavings. 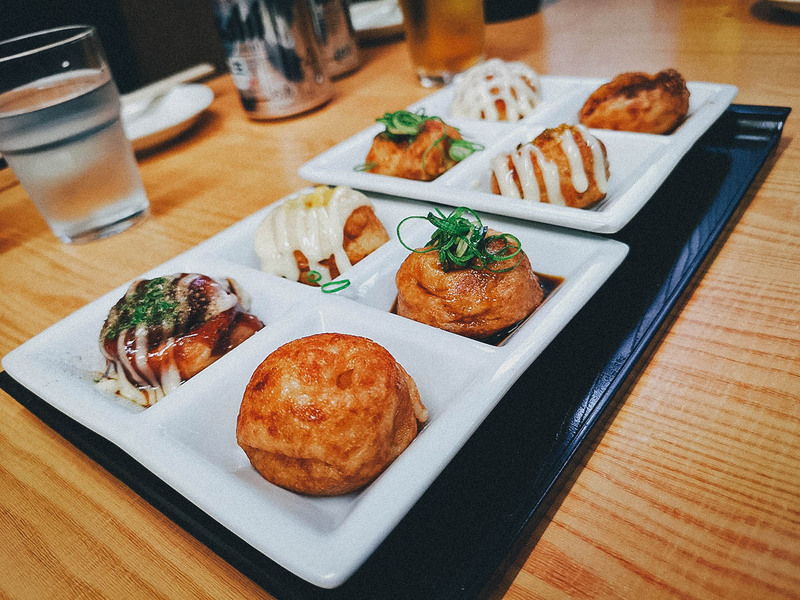 Takoyaki Tamaya offers several different varieties, but you may want to get this sampler of eight so you can try them all. They top them with things like curry powder, barbecue sauce, garlic soy sauce, and ponzu sauce. As I learn time and time again, simple is usually the best. Their most popular flavor is this basic but delicious rock salt with mayonnaise. Five pieces goes for JPY 290. Just goes to show you that you really can’t go wrong with food in Osaka. Nearly everything you eat in this city is going to be good. Takoyaki is such a convenient street food that most people get it to go. 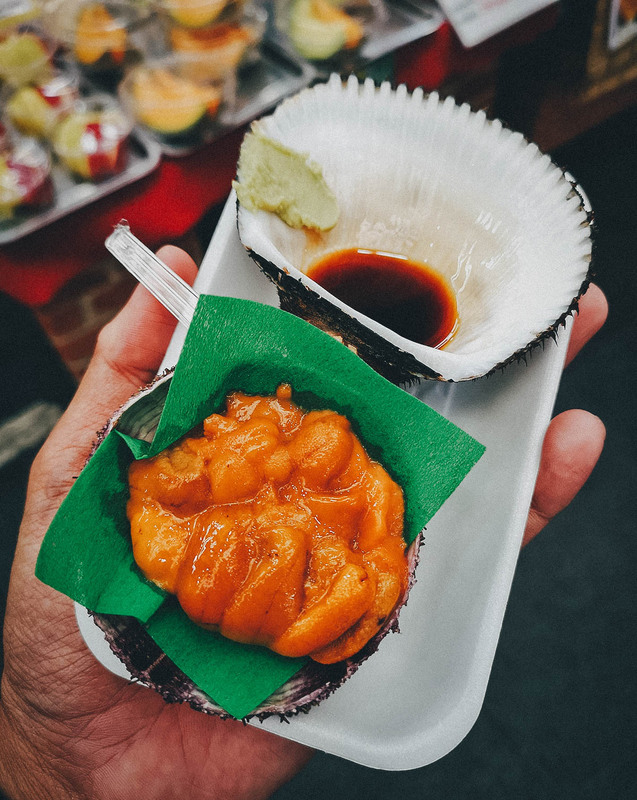 As described, it’s one of the most popular snacks in Osaka and something you need to try, especially if it’s your first time here. Tsutomu eats it all the time. How to Get There: Take the metro to Tenjimbashisujirokuchome station. Exit the station and walk east along the main road. Takoyaki Tamaya will be on your left. 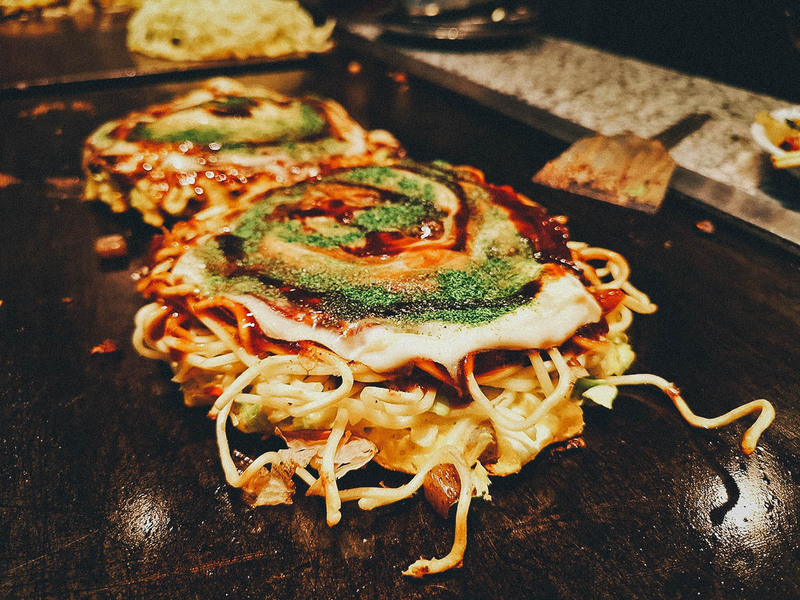 As described, okonomiyaki is another core Osaka dish and something you need to try. Many people seem to like it and it isn’t hard to understand why. Similar in appeal to takoyaki, it’s a simple but comforting savory-sweet pancake made with a wheat flour batter mixed with eggs, grated yam, and shredded cabbage. It typically contains other ingredients like green onion, pork belly, seafood, vegetables, and cheese. Like takoyaki, you can find okonomiyaki restaurants throughout Osaka so it was important for me to find the best. My research led me to Okonimayki Mizuno, a Michelin-recommended restaurant long known for serving some of the very best okonomiyaki in Osaka. 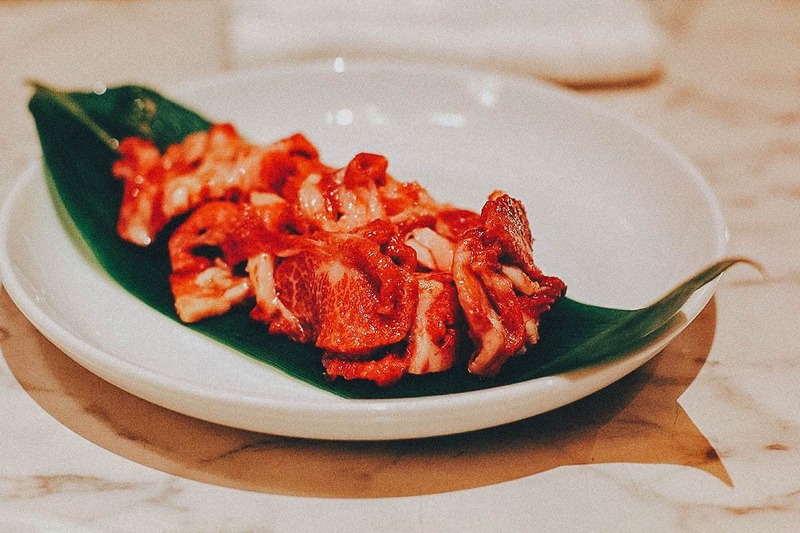 Pictured below is Mizuno’s bestseller – the yamaimo-yaki – which you can have with two of of the following ingredients: pork sirloin, pork belly, scallop, squid, shrimp, and oyster. Serious yum. This is a version of okonomiyaki called modan-yaki which is made with a layer of fried noodles, either udon or yakisoba. It was his first time here and unlike the takoyaki at Tamaya, Tsutomu concurred that the okonomiyaki at Mizuno was one of the best he’s had in Osaka. It’s really, really good. Okonomiyaki Mizuno is popular with both tourists and locals so expect a line no matter what time of day you go. It moves fairly quickly though so don’t be dismayed. The restaurant has been open since 1945 and is presently being run buy the third generation of owners. 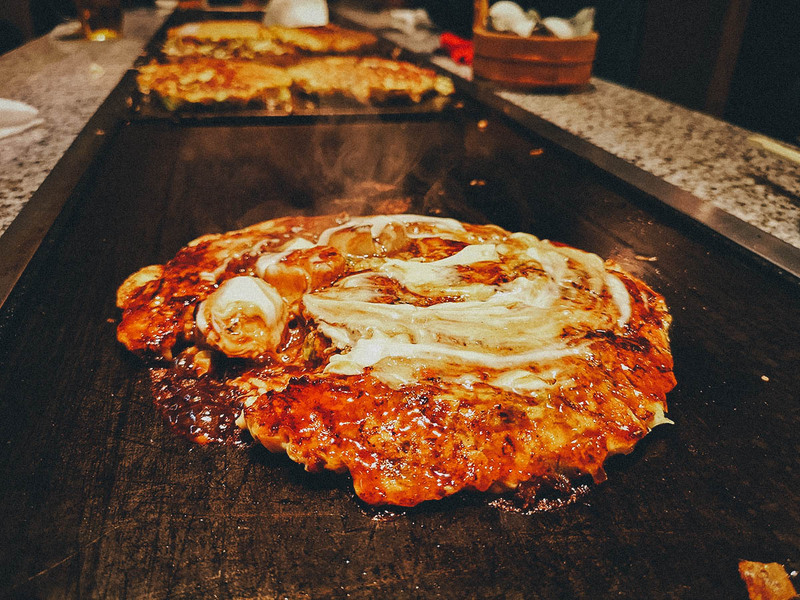 How to Get There: Okonomiyaki Mizuno is closest to Namba or Kintetsu-Nippombashi stations. You can refer to the LOCATION MAP below to see exactly where it is. 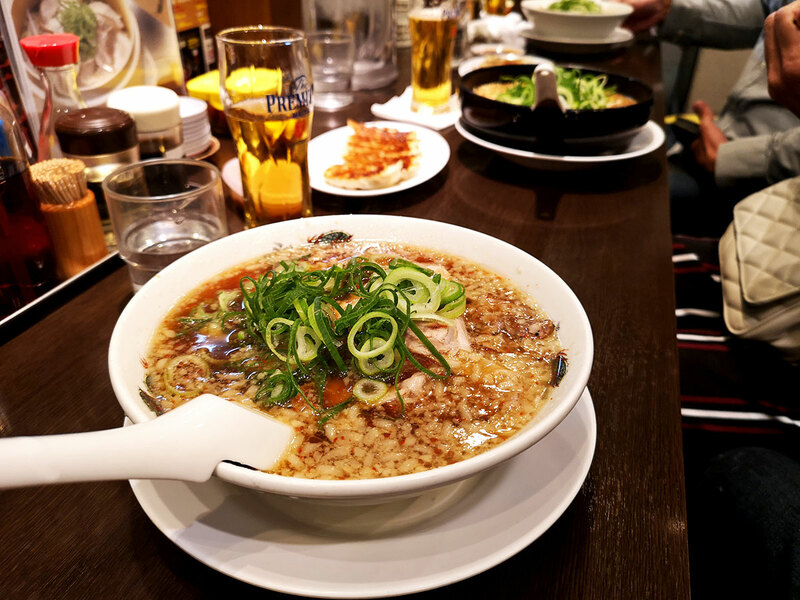 No self-respecting list of must-eat restaurants in Japan can be complete without a place known for serving delicious bowls of ramen. 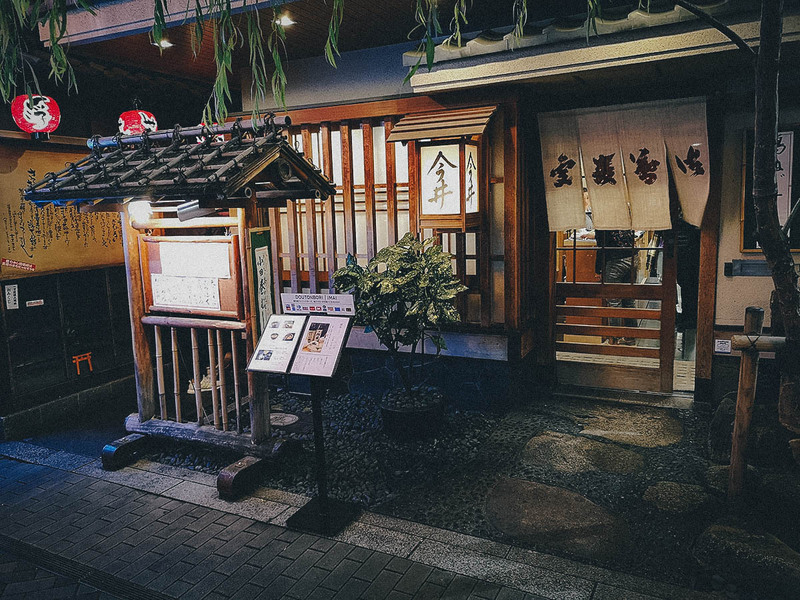 We visited three on this most recent trip, including Rai Rai Tei which Tsutomu calls the best ramen restaurant in the universe. He may be right. Ren had the standard while I went with the miso ramen, both of which were outstanding. We’ve had great bowls of ramen before but never this good. The depth of flavor in both broths was incredible, and they were palpably different too. So much more complex than any bowl of ramen we’ve ever had. We’ve had tonkotsu ramen in Fukuoka and miso ramen in Sapporo so I honestly didn’t think I’d be blown away by this one, but I was. We both were. It’s sooo good. The most delicious, perfectly cooked ramen noodles which you’re meant to slurp, and slurp loudly. While slurping your food may be considered rude in the western world, it isn’t in Japan. 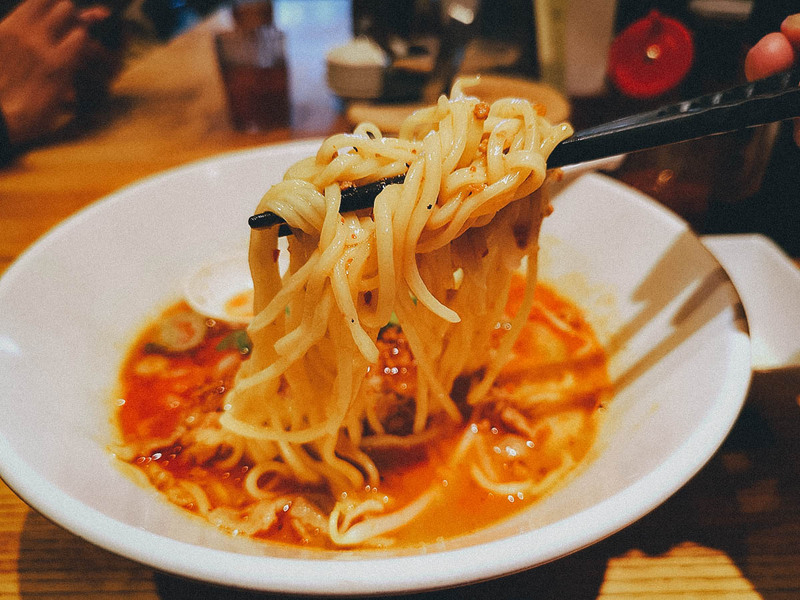 In fact, the Japanese want you to slurp your ramen because (A) it allows you to consume the noodles when they’re at their best – scalding hot; (B) slurping aerates the noodles and broth, making them taste better; and (C) slurping is a sign that you’re enjoying your food. So when in Japan, don’t be shy when eating ramen or other noodle soup dishes. Just dig right in and slurp away! You can read more about ramen in our Japanese Food Guide. We actually slurped these bowls of ramen at a Rai Rai Tei in Kyoto but they have many branches throughout Japan, including several in Osaka. 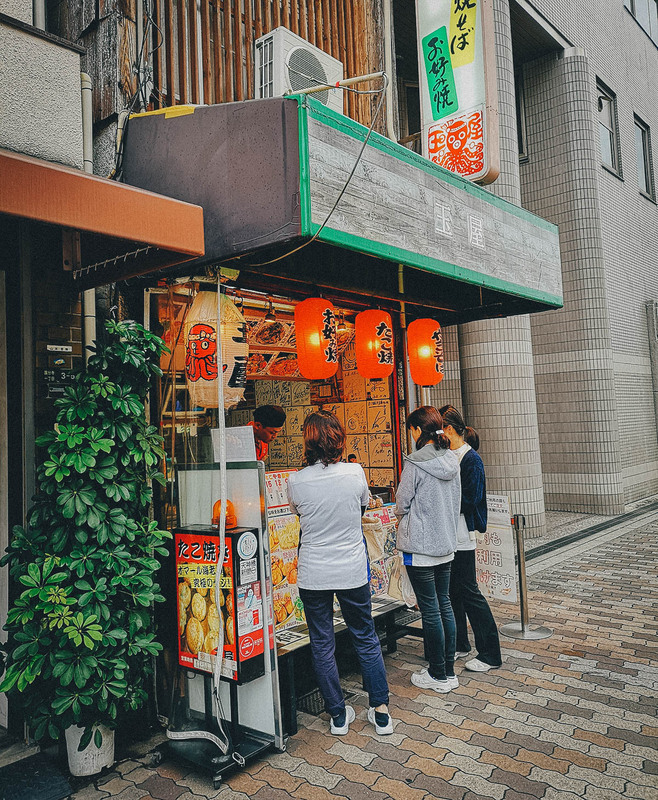 According to Tsutomu, they’re mostly in suburban neighborhoods which is probably why Rai Rai Tei isn’t as well known to tourists as Ichiran or Ippudo. I didn’t know this but according to Tsutomu, ramen is commonly eaten with gyoza and fried rice in Japan. It sounds like a lot of food and it is, but it’s true. I looked around and nearly every diner had in front of them a bowl of ramen, a plate of gyoza, and a mound of Japanese fried rice. Rai Rai Tei offers combo meals with all three. Unlike Rai Rai Tei, Ippudo is an internationally renowned ramen restaurant chain with branches in Asia, Europe, North America, and Australia. Personally, we preferred Rai Rai Tei but the ramen at Ippudo is excellent as well. We ate at the Ippudo branch in Ikeda, conveniently and fittingly just a few minutes’ walk from the Cup Noodles Museum. 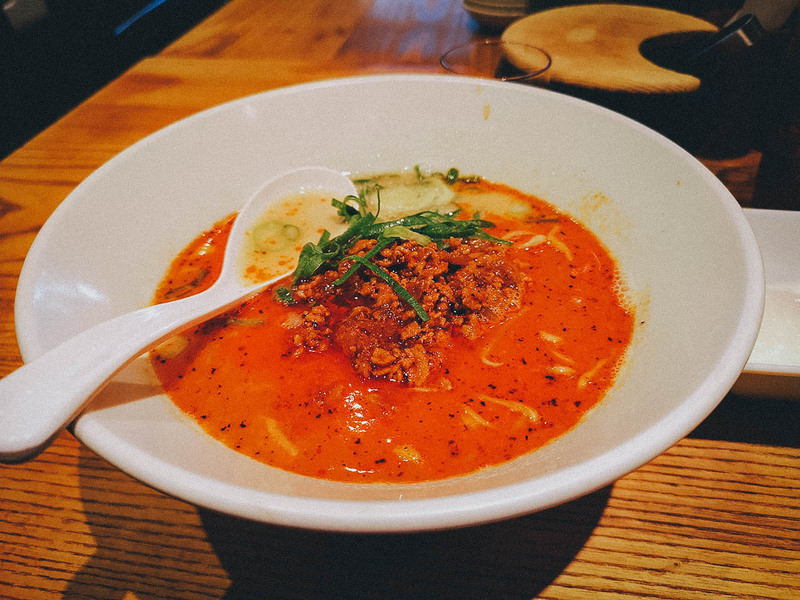 Ren had Ippudo’s signature creamy tonkotsu ramen while I went with this spicier tan-tan men. Both were very good. The noodles in Ippudo’s ramen seem thicker than Rai Rai Tei’s. 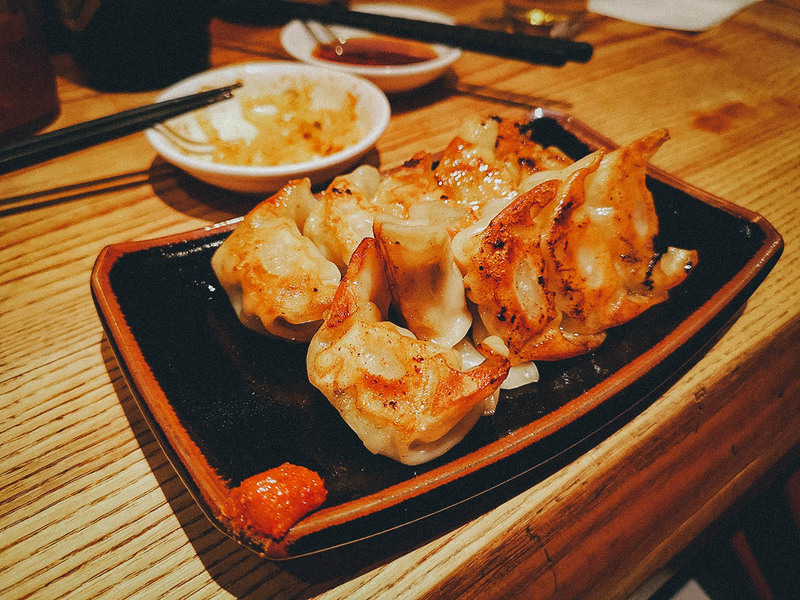 While we preferred the ramen at Rai Rai Tei, the gyoza at Ippudo was definitely better. Many people here were enjoying their bowls of ramen with gyoza and fried rice as well. If you like ramen, then you’re probably going to enjoy tsukemen. Tsukemen is a type of ramen where the noodles and broth are served separately. Think of it as a form of deconstructed ramen. You take the noodles, which are typically served cold or at room temperature, and dip them into the hot broth before eating. 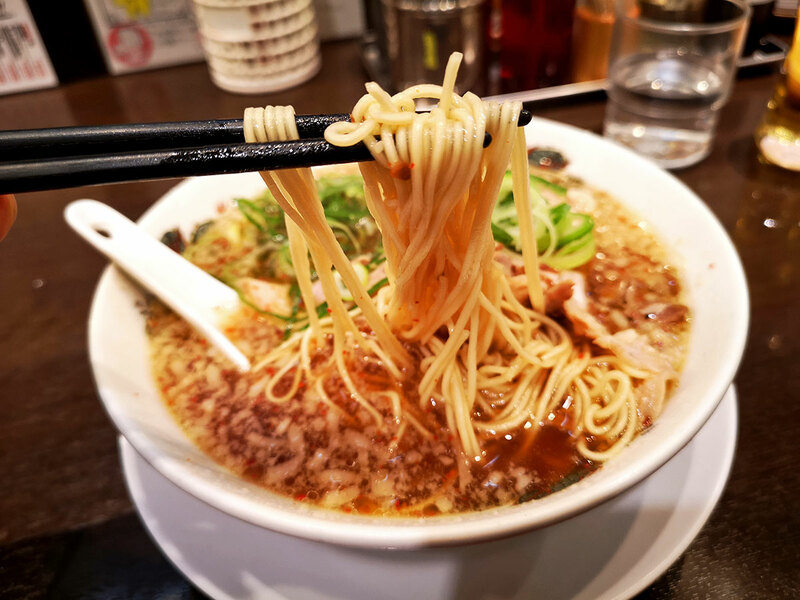 Compared to regular ramen, tsukemen broth is more intensely flavored which is why you’re encouraged to dilute it with hot water so you can drink it as a soup at the end of your meal. Niboshi Ramen Tamagoro is known for serving their ramen with a rich, deeply flavorful niboshi fish broth. 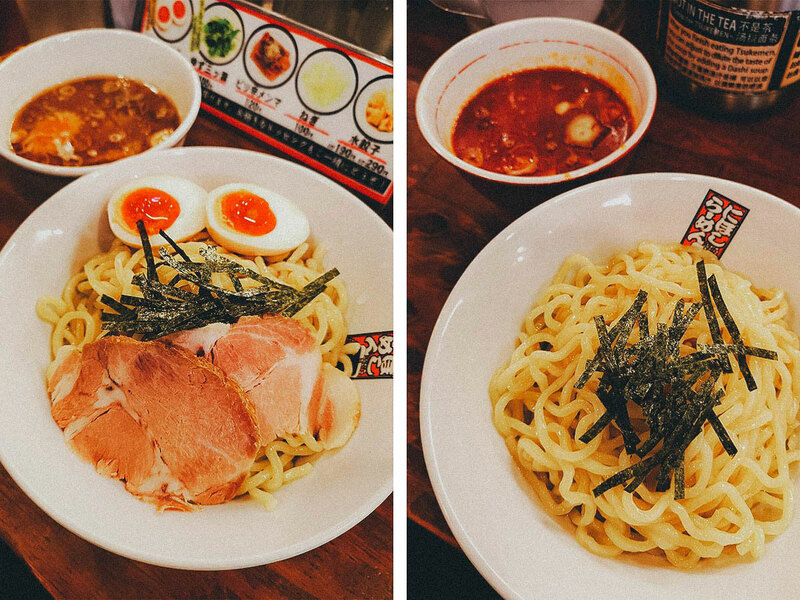 They offer regular ramen as well but tsukemen is a fun and different way of enjoying this beloved Japanese dish. Because the noodles are served separately, they maintain their firmness throughout the meal. Niboshi Ramen Tamagoro has several branches in Osaka but the one we went to is inside Kuromon Ichiba Market, one of the best places to enjoy quality street food in the city. If you’d like to try tsukemen, then we suggest visiting this branch so you can make it an entire morning of eating in Osaka. Snack your way through Kuromon Ichiba Market soon as it opens in the morning, when it’s best and least crowded, then have lunch at Niboshi Ramen Tamagoro. That’s what we did. If you enjoy noodles and want to have something other than ramen, then you can check out Dotombori Imai Honten. 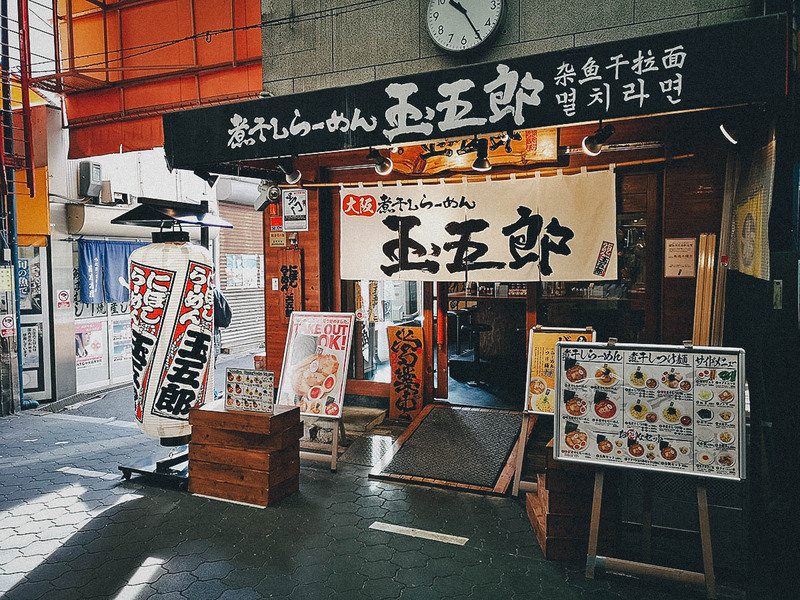 Open since 1946, it’s one of the most beloved udon restaurants in Osaka. 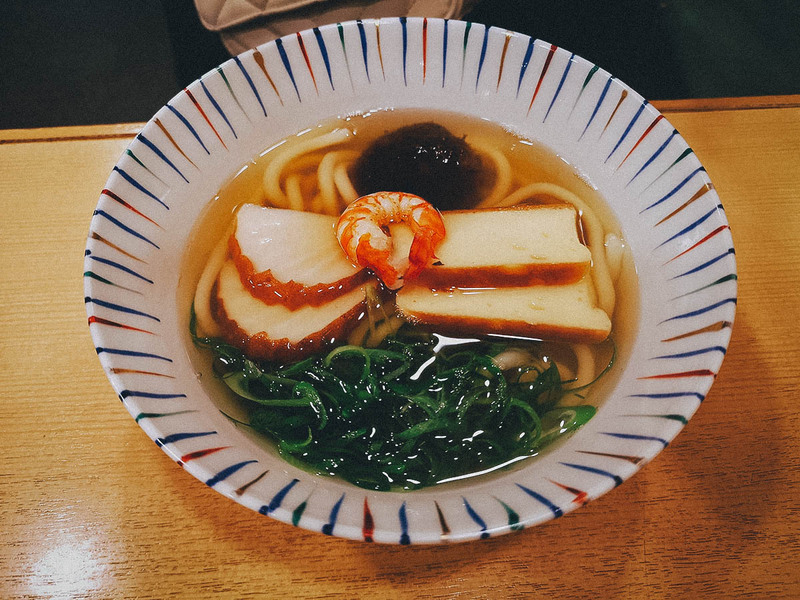 Our friend Tsutomu told us it’s his mom’s favorite udon restaurant and often gets takeaway from here. Udon is a thicker type of wheat flour noodle that’s typically served in a hot broth in winter and chilled in summer. It has a wonderful smooth and chewy texture that I actually prefer over ramen. We went with the restaurant’s recommendations so Ren had this shippoku udon made with prawn, fishcake, black mushroom, and green onion. It was clean-tasting and absolutely delicious. 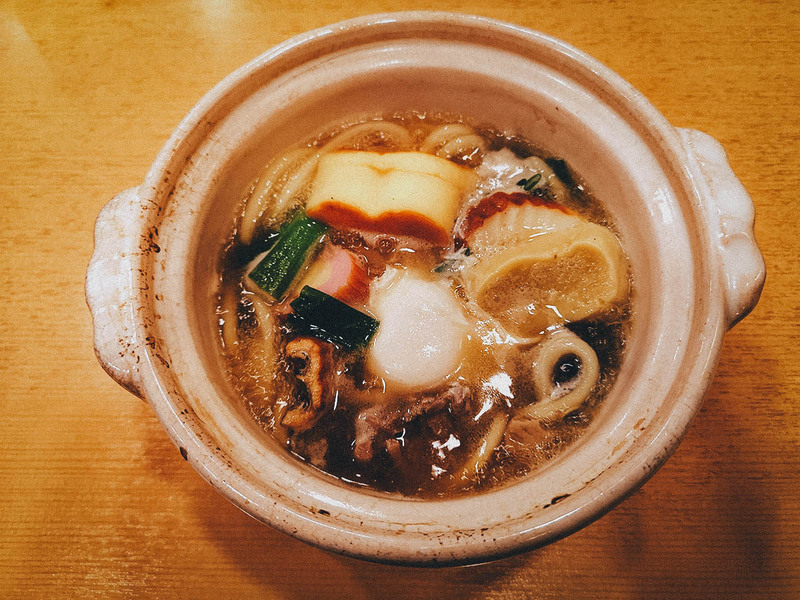 I had the nabeyaki udon which was served in this clay pot and contained a variety of vegetables, duck, fishcake, and egg. I find it such a joy eating udon noodles that it almost doesn’t matter what it’s served with. Because I enjoy the texture so much, I used to prefer udon over ramen but now I’m not so sure. I love udon noodles but the broth, at least in my experience, has always been less flavorful than ramen broth. I’ve read that ramen typically contains more sodium than udon which explains why it’s tastier. It seems to me that in a bowl of ramen, the star is the broth, while in udon, it’s the noodles. Dotombori Imai Honten is located just a short walk from the famous Glico Man in Dotonbori. You can refer to the LOCATION MAP at the bottom of this post to see exactly where it is. How to Get There: Dotombori Imai Honten is located around the corner from Okonomiyaki Mizuno. Aside from sushi, tempura is one of my favorite dishes in Japanese cuisine. It’s one of the first things to go at an all-you-can-eat Japanese buffet. Strange thing is, we’ve never actively looked for a great tempura restaurant in all our visits to Japan, which is why I wanted to make sure we found one on this trip. Like sushi restaurants, many of the best tempura places can be expensive. Thankfully, I found Tempura Tentomi which not only offers excellent tempura, but they serve a type that isn’t as common in Osaka – Kanto-style tempura. Kansai-style tempura (Osaka, Kyoto) uses a more neutral oil, like vegetable oil, while Kanto-style (Tokyo) uses sesame oil. Egg is also used in the batter of Kanto-style tempura which makes it look more yellowish. We came here for lunch when all they offer is this tendon bowl with the sauce already poured over the tempura and rice. Like many Filipinos, we’ve been eating tempura for most of our lives and this was one of the best tempura experiences we’ve ever had. The tempura was crisp, succulent, sweet-savory, and slightly sticky from the sauce. It was absolutely delicious, especially when eaten with the rice. It was Tsutomu’s first time here and he loved their tempura as well. Restaurants like this make me so grateful for having a Japanese friend. Like many un-touristy restaurants, Tempura Tentomi isn’t located along the street. It’s away from plain view on the second floor of this building, the only indication of its location being the Japanese sign in the building’s directory. It’s hard to find on your own so look out for this building if you decide to eat here. Go up to the second floor and make a right. Tempura Tentomi is through that door. They have reasonable lunch prices so it’s popular among locals. Expect a wait. How to Get There: The closest station to Tempura Tentomi is Kita-Shinchi station. You can refer to the LOCATION MAP at the bottom of this post to see where it is. 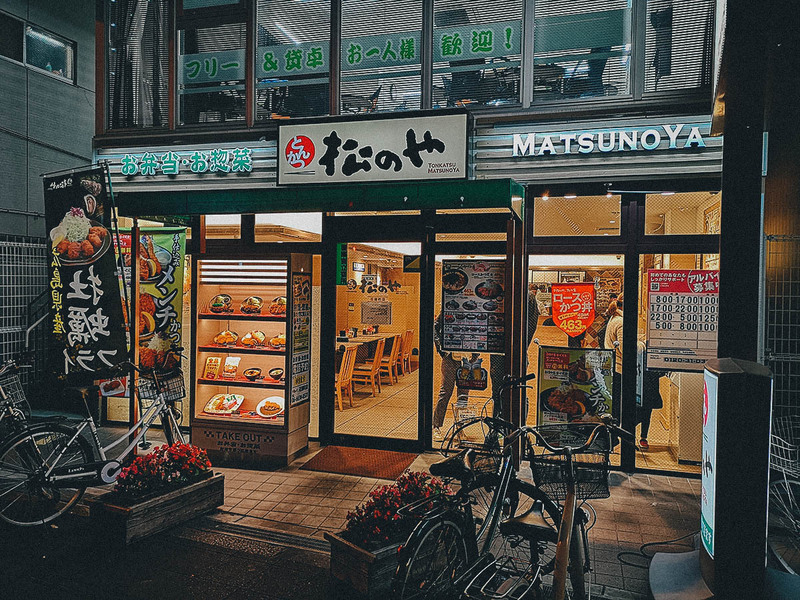 Tonkatsu Matsunoya is a popular tonkatsu chain with branches throughout Japan and Osaka. 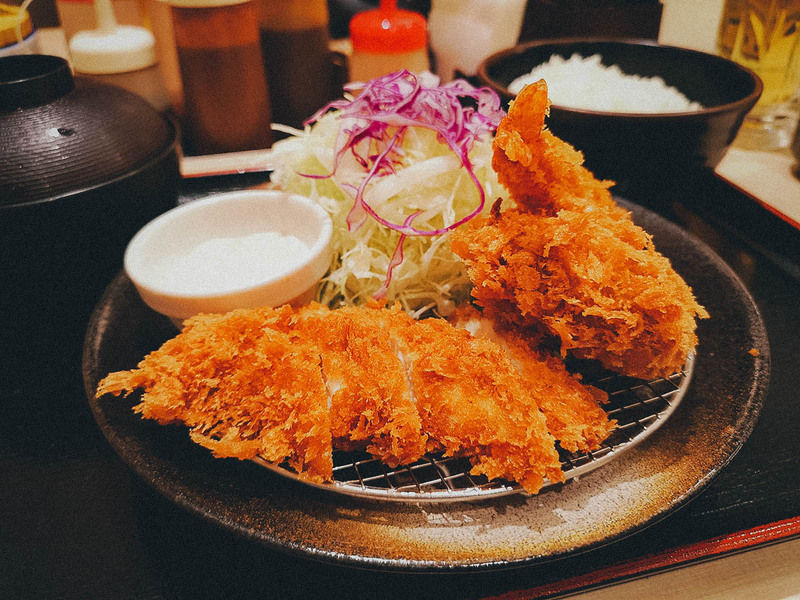 If you’ve never had it before, tonkatsu consists of seasoned pork fillet or loin coated in panko bread crumbs and deep-fried. It’s typically served with shredded cabbage and a thick brown tonkatsu sauce. Matsunoya offers different types of tonkatsu meal sets. I had the tonkatsu with ebi furai (shrimp) while Ren went with the tonkatsu with miso sauce. Both the tonkatsu and ebi furai were very good – succulent and juicy with a light, crisp coating. 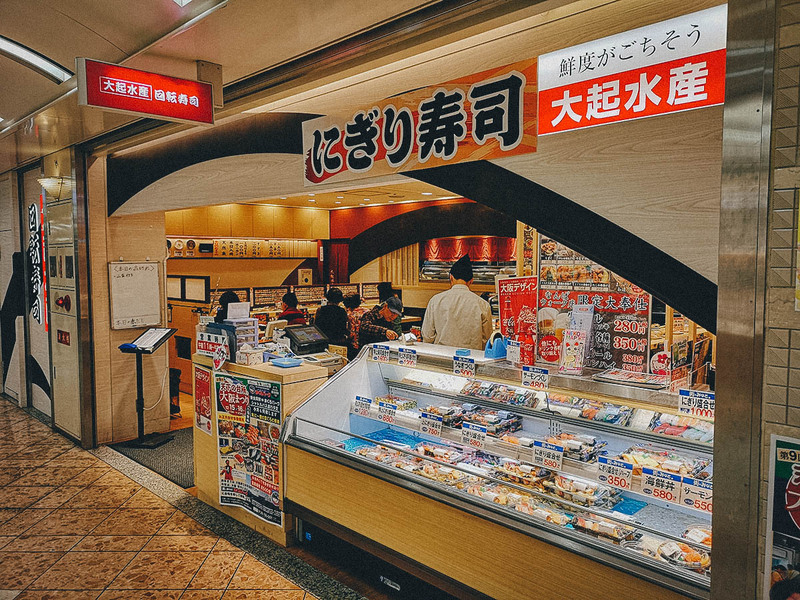 According to their website, Tonkatsu Matsunaya has over a hundred branches in Osaka alone, so you can refer to their store locator to find a branch near you. This meal was from our first trip to Osaka in 2014 and it remains one of our best dining experiences so far in Japan. It’s where you can (allegedly) have Kobe Beef without paying for the exorbitant price tag. I won’t get into why I use the word “allegedly” here, but you can read about it in my post about Tsurugyu. Kobe Beef refers to Wagyu beef from the Tajima strain of Japanese Black cattle raised in Hyōgo Prefecture. 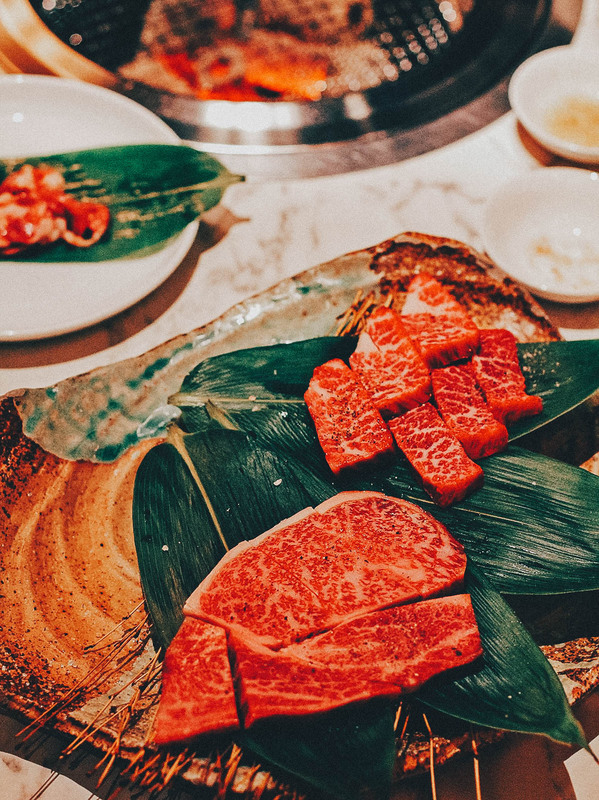 It’s considered one of Japan’s top three beef brands, revered for its flavor, tenderness, and fatty, well-marbled texture. Quality like that comes at a price, with customers typically paying around JPY 10,000-20,000 for one certified Kobe Beef steak. Our friend Tsutomu used to work as a purchasing agent for a five-star resort and Tsurugyu was recommended to him by one of their meat suppliers. According to him, they serve genuine Kobe Beef at a fraction of the cost. Certified or not, this was the best damn beef we had ever tasted in our lives. It was so tender that every bite, no matter the cut, practically dissolved in your mouth. Pictured here is a plate of Kobe Beef tongue. 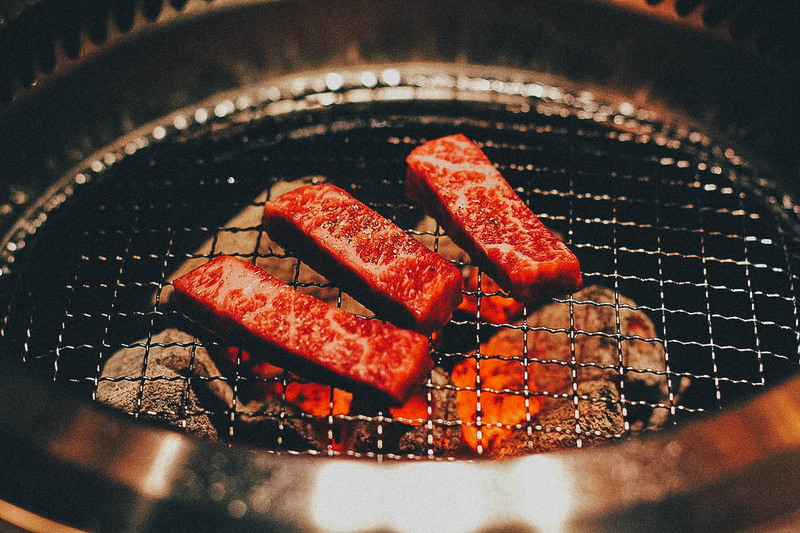 Tables at Tsurugyu have tabletop grills so you can cook the meat yourself. We tried many different cuts of beef during our meal, including this one which was the second most expensive cut on their menu. Everything we had was sensational. Check out my post on Tsurugyu for more pictures and information. How to Get There: The nearest stations to Tsurugyu are Nippombashi and Tanimachikyuchome stations. You can refer to the MAP at the bottom of this post for its exact location. Our friend Patrick wanted to have shabu-shabu for dinner so Tsutomu took us to Kisoji, a shabu-shabu and sukiyaki restaurant chain with a few branches in Osaka. 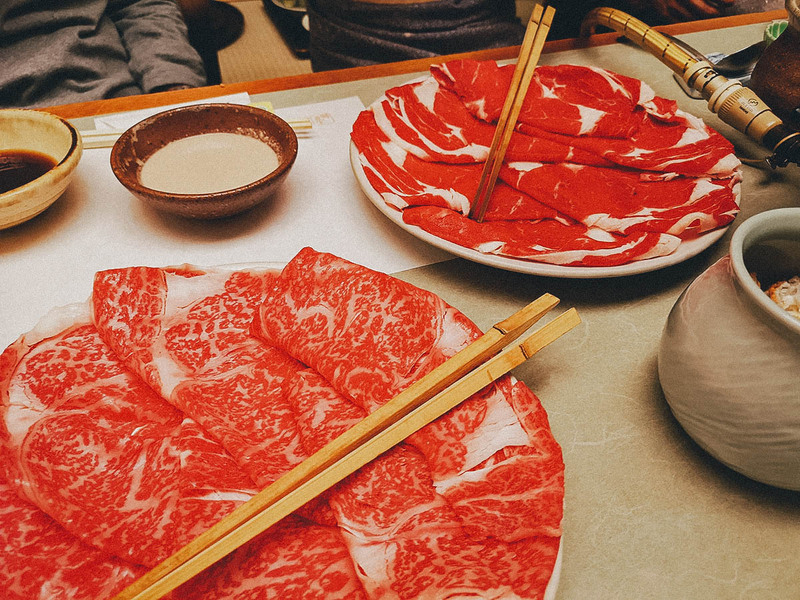 Shabu-shabu is a Japanese hotpot dish of thinly sliced meat and vegetables boiled in a clear, kombu-based (kelp) broth. Unlike sukiyaki which is noticeably sweeter, shabu-shabu is milder and more savory in flavor. It’s commonly made with thinly sliced beef, though other proteins like pork, crab, or chicken may also be used. Kisoji offers four different grades of beef. It can get pretty expensive so we went with the lowest two grades. As you can probably tell, the redder beef with less marbling was the lower grade. To be honest, I couldn’t really tell the difference because both were outstanding. If you’re worried about the cost, then start with the lowest grade. Every order comes with a basket of vegetables and mushrooms, and a few sides. Tsutomu did all the ordering so I’m not sure if this trio of appetizers were ordered a la carte, or came with the meal. They were as tasty as they were beautiful. Kisoji speicalizes in shabu-shabu and sukiyaki, but they offer other dishes on their menu as well, including this platter of fugu or pufferfish. Pufferfish are notorious for their neurotoxin which is 1,200 times more powerful than cyanide, so a chef needs to be properly trained and certified before they can serve fugu in Japan. Try this if you’re feeling adventurous. We went to the Kisoji branch in Shinsaibashi located in the basement of this building. It’s just a short walk south of Shinsaibashi station. When we visited Osaka in 2014, it was to celebrate my birthday so we ate at three very special restaurants. The first was Tsurugyu, the second was Iroha, and the third and perhaps most special, was Fujiya 1935. At the time, Fujiya was one of just four restaurants in Osaka that had three Michelin stars. 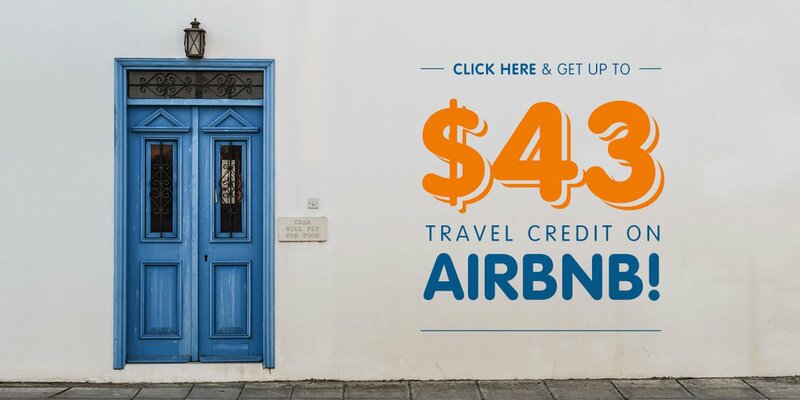 They’ve since lost one star but it shouldn’t make the experience any less remarkable. 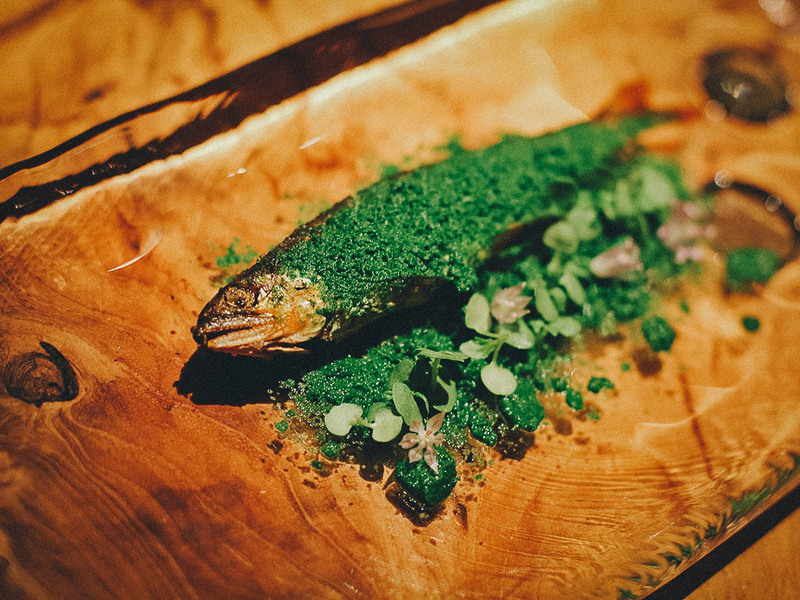 Helmed by Chef Tetsuya Fujiwara, Fujiya is known for its innovative contemporary dishes like this ayu or river fish with pureed shiso leaf (perilla). It was one of six courses from our lunch tasting menu. 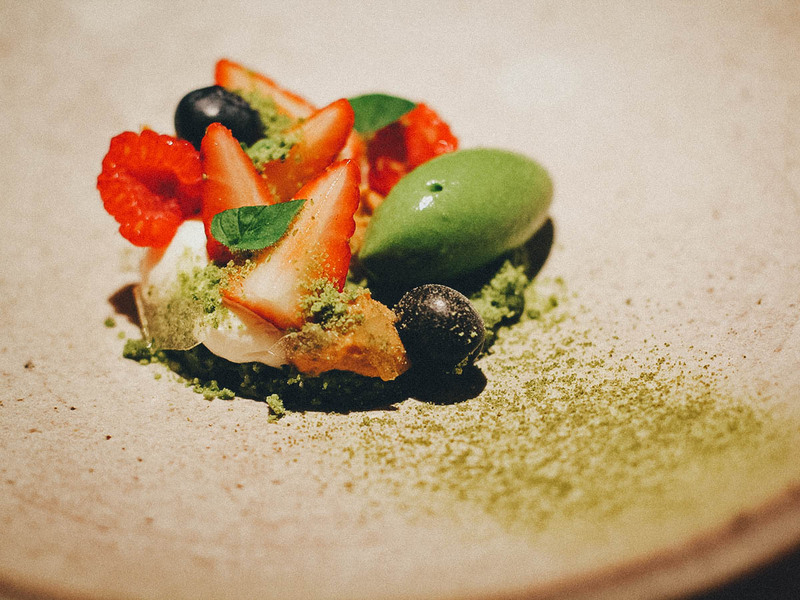 Dessert of fresh berries, two types of cream, a quenelle of matcha (green tea) ice cream, crystallized sugar, and matcha powder. As described, these dishes were all from 2014 so they’re probably not offering them anymore. Best to check the Fujiya 1935 website for an updated menu. How to Get There: The closest stations to Fujiya 1935 are Sakaisuji Hommachi and Tanimachiyonchome stations. Check out the LOCATION MAP at the bottom of this post to see where it is. As described, this was one of three special meals we had to celebrate my birthday in 2014. 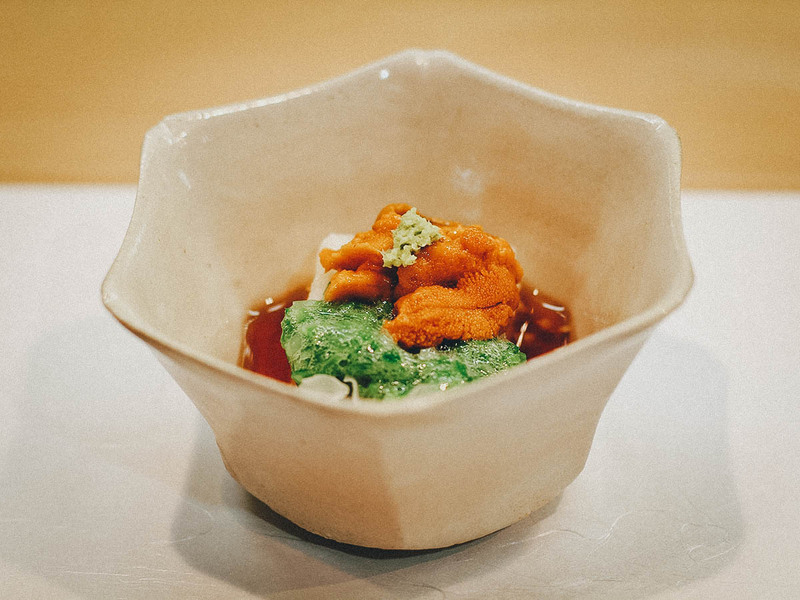 Iroha has one Michelin star and is known for serving traditional kaiseki meals. Kaiseki refers to a traditional multi-course Japanese dinner consisting of small, artfully prepared dishes. It’s typically served at ryokans (traditional Japanese inns) or at small restaurants called ryōtei, which is what Iroha is. 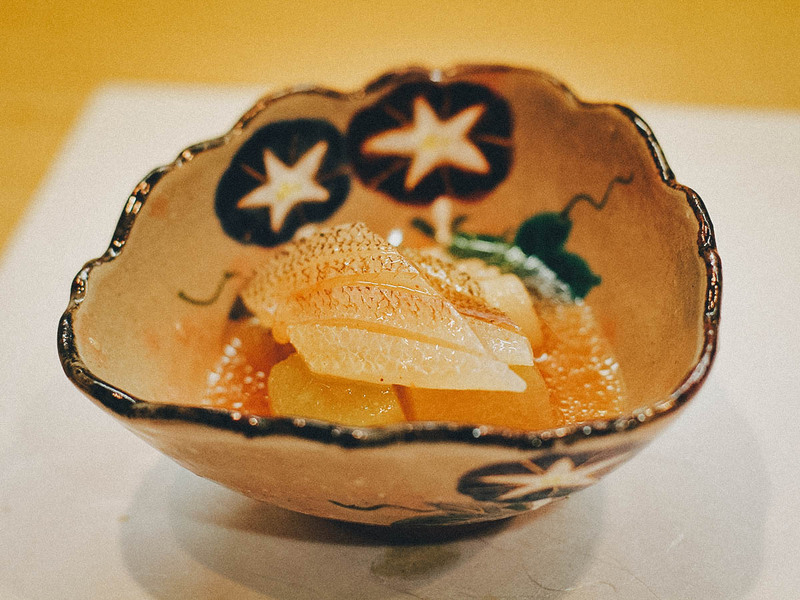 Kyoto is particularly known for its kaiseki, though you can have it anywhere in Japan. Pictured below is uni or sea urchin on a bed of vegetables. It was the first of thirteen courses from our terrific kaiseki dinner. Compared to Fujiya 1935 which offers contemporary dining, you’ll notice that kaiseki dishes are much more traditional in preparation and presentation. Everything we had that night was fantastic, but this Saga wagyu beef sukiyaki was easily my favorite. 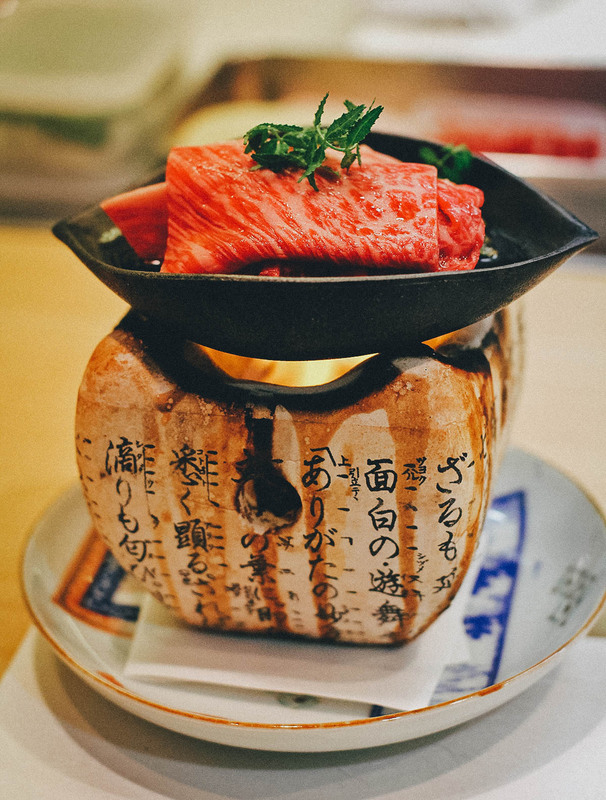 Like Kobe and Matsusaka, Saga Beef is often cited as being one of Japan’s finest beef brands. Thinly sliced, the beef just melts in your mouth. So damn good. How to Get There: The closest station to Iroha is Nishi-Umeda station. The restaurant is on the fifth floor of a building so it’s a little hard to find. Check out the LOCATION MAP at the bottom of this post to see where it is. 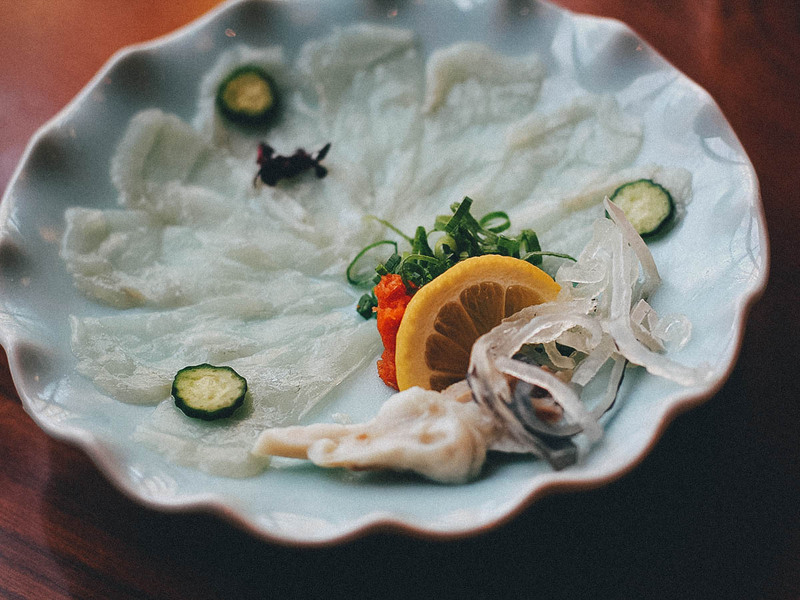 Because of its element of danger, fugu has become a curiosity among many travelers, something the more adventurous want to try just for the sake of trying. If you’re one of those people, then you may want to try it at Zuboraya, a restaurant that specializes in this curious and somewhat notorious delicacy. As I touched upon earlier, fugu or pufferfish has a powerful neurotoxin that’s about 1,200 times stronger than cyanide. It doesn’t have an available antidote which is why chefs need to go through a rigorous training program to serve it. Eating improperly prepared fugu can lead to dizziness, exhaustion, headache, nausea, asphyxiation, and potentially, death. How fun! In all seriousness, the chances of eating improperly prepared fugu at a Japanese restaurant are virtually nil nowadays. I’ve heard that eating fugu is supposed to give you a tingling, numbing sensation, but I didn’t experience that either time I tried it. To be honest, it doesn’t taste like anything which is why I don’t think it matters at which (licensed) restaurant you try it. 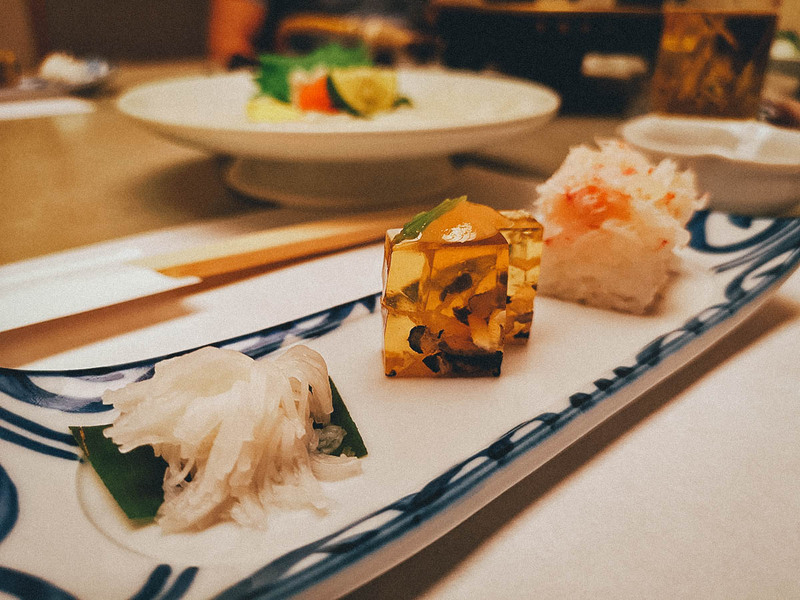 Aside from sashimi, fugu is also served in sushi form. We haven’t tried it but one of the mot popular ways of enjoying fugu in Japan is in a hotpot. It’s typically eaten in winter and is usually fairly pricey. 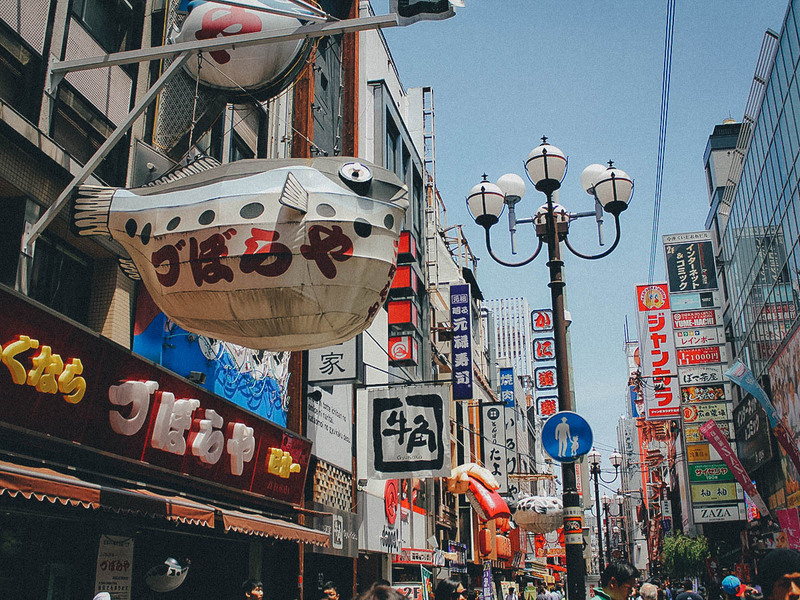 Walk around the Dotonbori area and you may come across one of these large blowfish lanterns. Congratulations! You’ve found a Zuboraya. 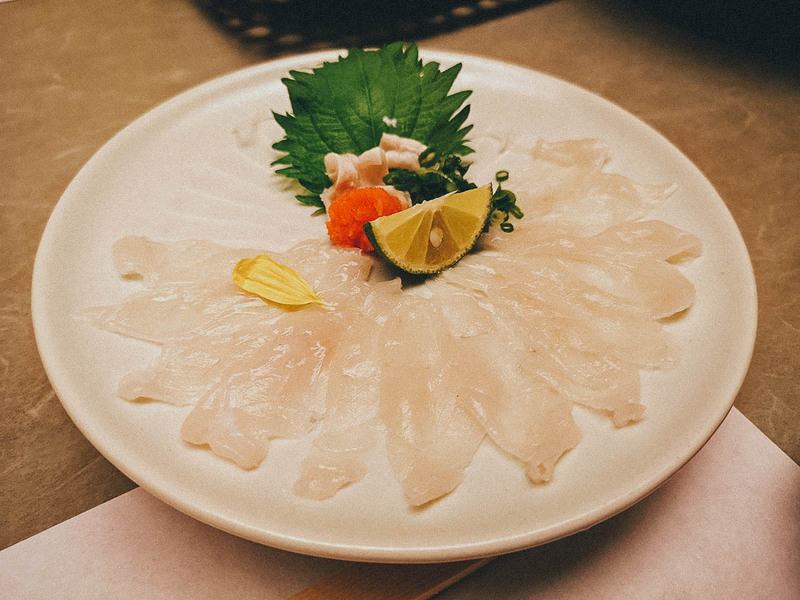 According to Tsutomu, Zuboraya isn’t known for serving the best fugu, but if all you want to do is cross it off your bucket list, then it’s good enough. Like I said, it doesn’t have much taste anyway. If you’d like to indulge in a fugu set meal at Zuboraya, then you can purchase vouchers in advance through Klook. 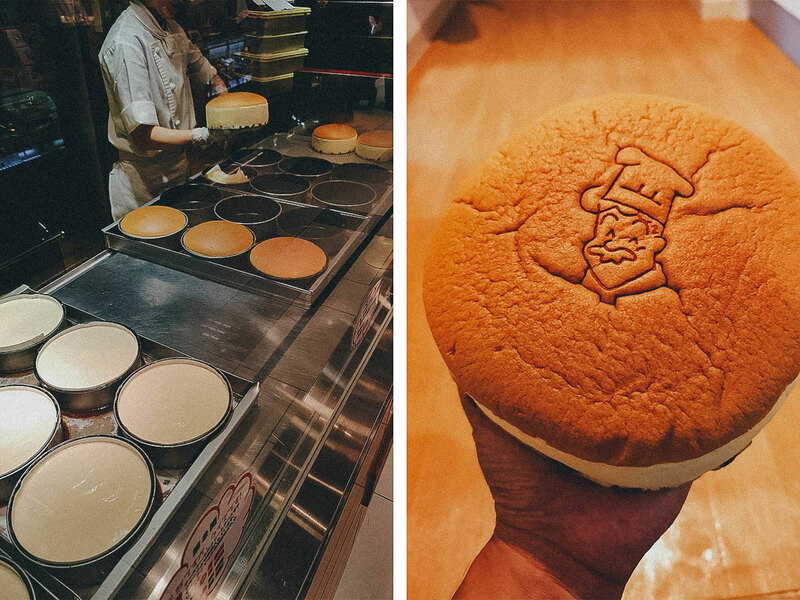 You may have seen these branded Japanese cheesecakes jiggling their way through social media. Rikuro Ojisan makes these super fluffy baked cheesecakes with raisins that are available only in Osaka. As you can see below, the kitchen is behind a glass window so customers can observe the baking process. Molds are lined with raisins then filled with the cheesecake mixture before being baked for about 45 minutes. When ready, a staff member rings a bell to let customers know that freshly baked cheesecakes have just come out of the oven. Each one is then stamped with the logo bearing founder and pastry Chef Rikuro Nishimura’s likeness. Before I tried it, I didn’t think it would be much better than other Japanese cheesecakes, but it was. It’s so frikking good. It’s rich, fluffy, creamy, and super duper jiggly. It’s light too so you could probably demolish the entire thing in one sitting. Dangerously good stuff. 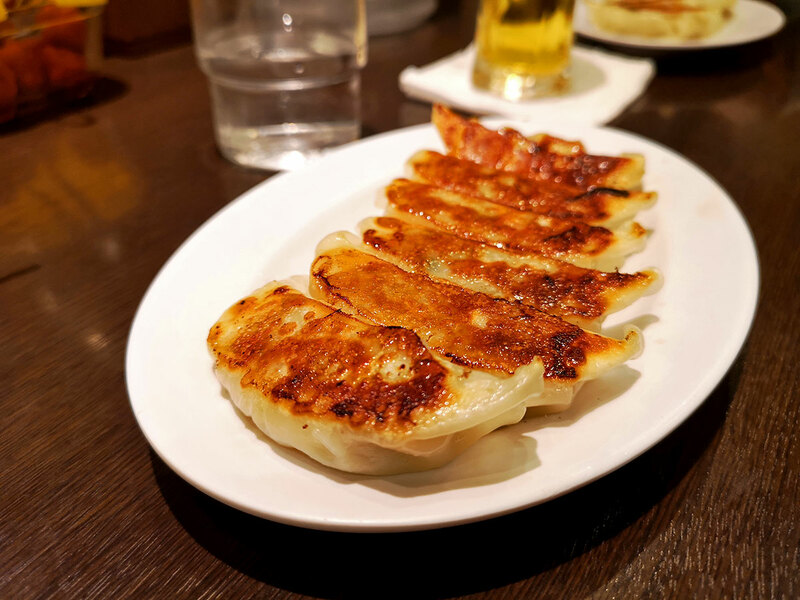 As described, Rikuro Ojisan is available only in Osaka so be sure to try it when you’re here. From its name, you can probably tell that the last place on this list isn’t an actual restaurant, but a food market. It’s somewhere between a wet market and a food hall. 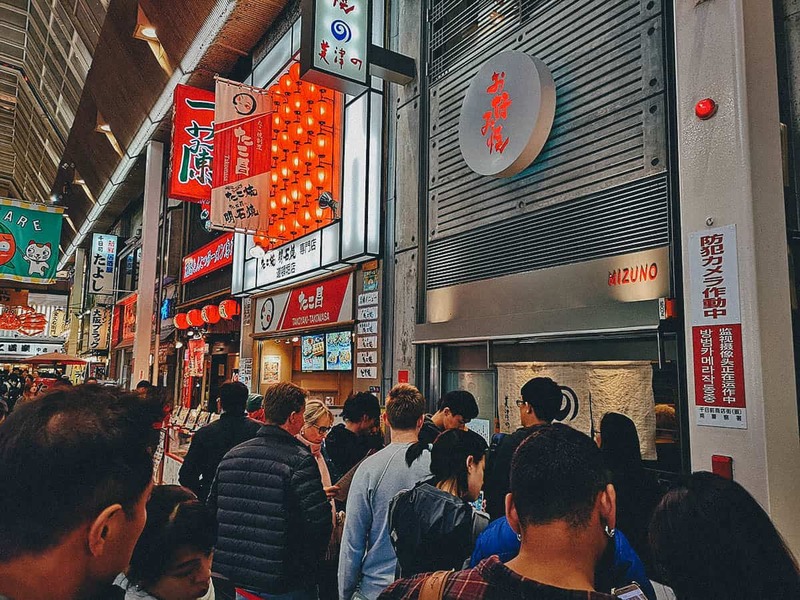 Nicknamed “Osaka’s Kitchen”, it’s where many of the city’s chefs purchase their ingredients so you know the food here is of the highest quality. Kuromon Ichiba Market has been around for well over a century (perhaps close to two) and is home to over a hundred and fifty shops selling meat, seafood, fruits, vegetables, and all kinds of prepared food. It’s one of our favorite places in Osaka. Pictured below are skewers of diver scallops and tako tamago, which is a glazed baby octopus stuffed with a whole quail egg. Serious yum! Glistening uni or sea urchin. Serioiusly, how good does that look?? As previously described, Niboshi Ramen Tamagoro has a branch inside the market. If you’re interested in trying good tsukemen, then I suggest coming to Kuromon Ichiba Market early and trying whatever you like before having lunch at Niboshi Ramen Tamagoro. The market can get pretty crowded later in the day so it’s best to experience it early before it gets packed. Check out our post on Kuromon Ichiba Market for more pictures and information. How to Get There: Kuromon Ichiba Market is near Kintetsu Nippombashi station. After exiting the station, walk south and turn left to enter the market. The market is about 600 meters long with multiple entrances. As described, there is so much oishi food to be had in Osaka. This list of eighteen barely scratches the surface. 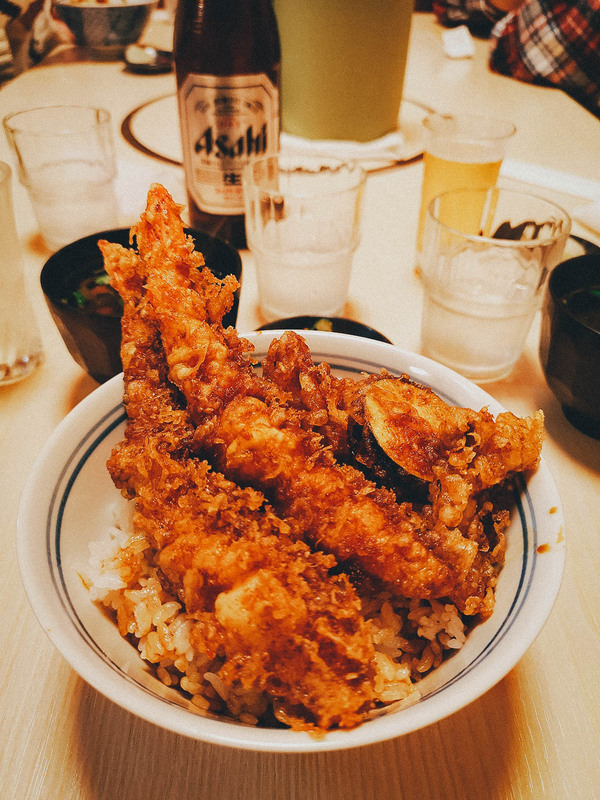 We did thorough research and consulted with our Japanese friend Tsutomu to provide you with enough suggestions to make your stay in Osaka as delicious as possible. We hope you like it. Because of the language barrier, it can sometimes be challenging finding your way around Japan. 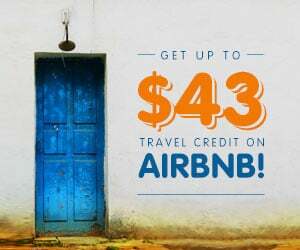 To make things easier, I suggest renting a pocket wifi device or getting a sim card. That way you have a constant wifi connection to consult maps and do any last minute research. To help you find these restaurants more easily, I’ve pinned them all to this map along with a few others we were planning on visiting but just couldn’t get to. To help you with your travel planning, you can refer to our most recent 7-day Kansai itinerary on Sygic Travel. It’s a more complete version of the map above and includes restaurants and attractions not just in Osaka, but in Kyoto and Nara as well. 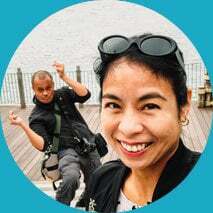 You can also download a copy of our entire 7-day Kansai itinerary in editable Word format from our EAT-ineraries page. It covers Osaka, Kyoto, and Nara. Thanks for reading and have an awesome food trip in Osaka! My friend love Tsurugyu Kobe Beef, Good to have that place on the list. Thank you for the post !